We usually make our moon sand with cornstarch, sand, and baby oil. However a blog reader commented that when they make their moon sand- they use water instead of oil. So, of course, my first thought was- why make moon sand when you could make MOON MUD? And so you have it- our homemade moon mud! 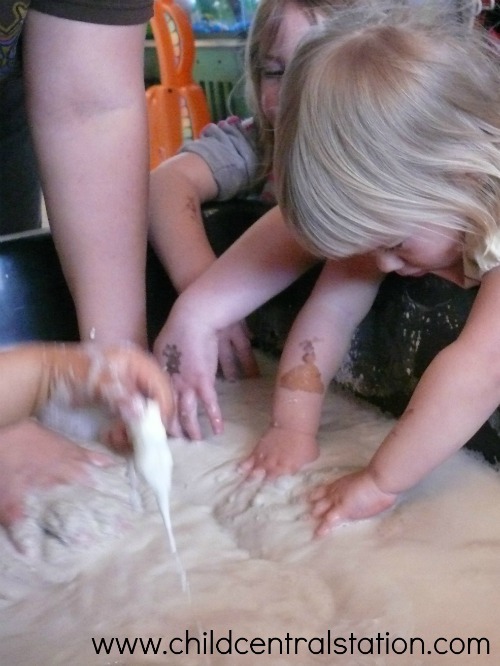 Basically, it ends up being a sandy- runny oobleck! Now, I'm sure I will get all kinds of questions on the exact recipe and proportions to make this stuff..... The truth is, we rarely measure. We just mix it up until it looks and feels about right! So, we removed some off the top. After we were done playing in the mud- we let it sit. Then, this afternoon- It was perfect! 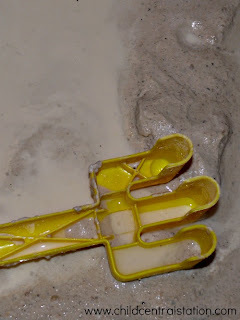 1) Follow the recipe for moon sand found here. Except instead of oil- use water. 2) Add a little bit of water at a time until you get the perfect consistency! It is always easier to add more water than it is to take water away! 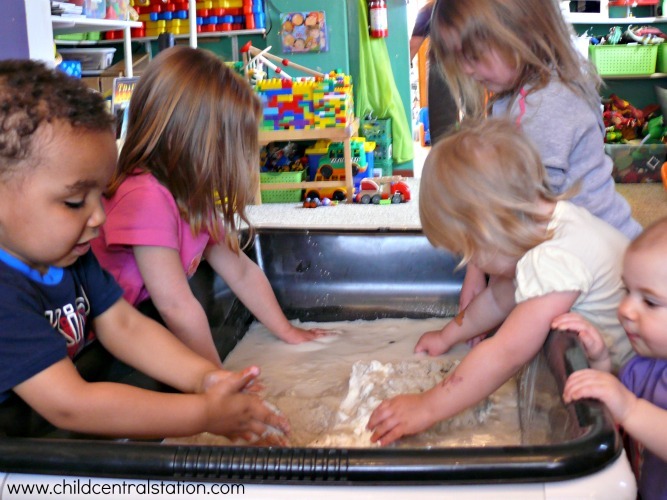 Plan on hours of messy fun! 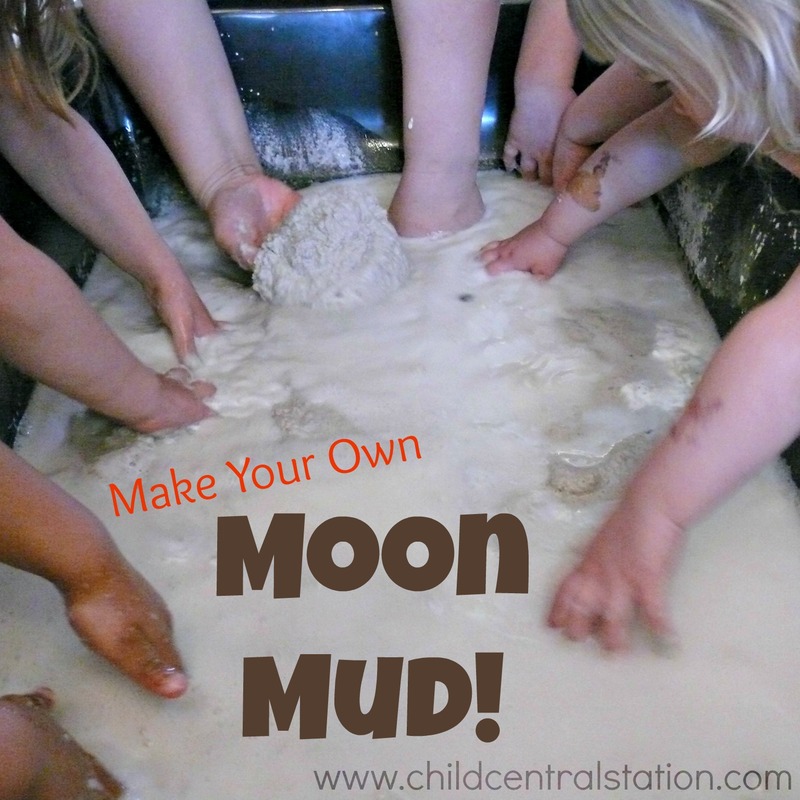 If you do try to make moon mud, we'd love to hear about it! 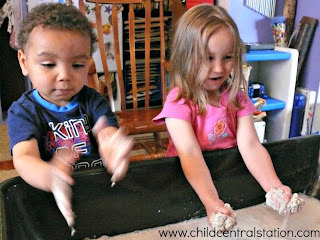 What is your favorite messy activity? 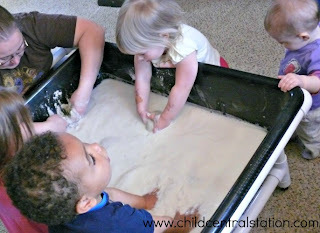 We are going to try this tomorrow! Lisajean- you will have SO much fun with it :). We have now added Kool-Aid to ours! The whole place smells like grape AND the Kool-Aid color separated! The cornstarch turned pink and the water is blue! HOW COOL IS THAT!!!!! !